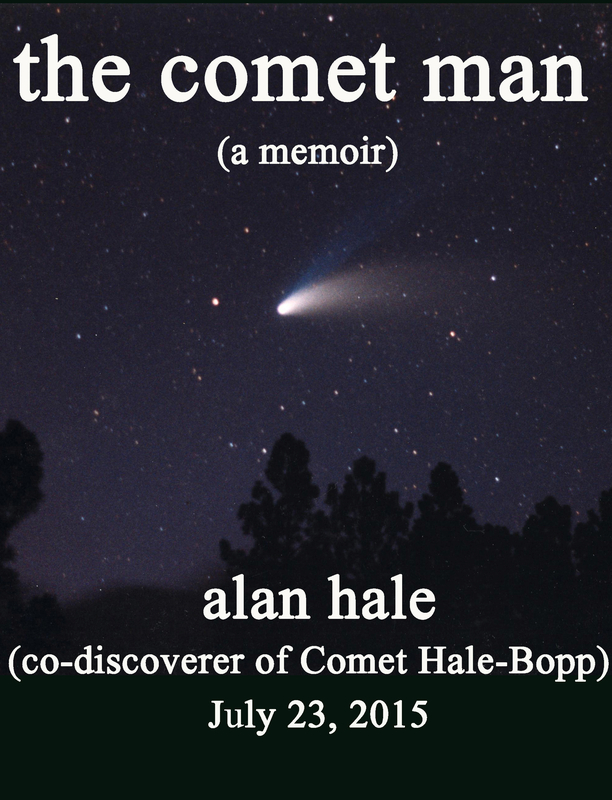 An autobiography of Earthrise Institute President Alan Hale, and a discussion of his lifetime of observing comets and other astronomical phenomena, issued on the occasion of the 20th anniversary of the discovery of Comet Hale-Bopp. The reader will be treated to a discussion of the brighter and more important comets that have appeared in our skies over the past 45 years, and will learn about the man who co-discovered the most viewed comet in human history, including the events that led up to that discovery and the events that happened in his life afterwards as a result. The inspiration for Earthrise and his efforts to fulfill the Earthrise vision occupy an important part of the overall story. A .pdf version of "the comet man" may be purchased for US$5.00 via PayPal to the address donate@earthriseinstitute.org. Upon receipt of payment you will receive an e-mail with a link to the manuscript and the password for accessing the file. For questions or any additional information please write info@earthriseinstitute.org.